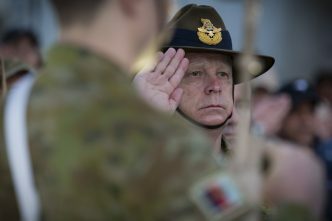 Australia’s soldiers must prepare to face a widening range of threats, says Chief of Army Lieutenant General Angus Campbell. ‘Conflict is deeply, deeply competitive and human beings are imaginative in the ways they will find to resist or to compete in that environment’, Campbell tells The Strategist. Campbell has ordered the establishment of a new army research centre to identify problems soldiers may face due to the evolving nature of joint land combat, doctrine and training. 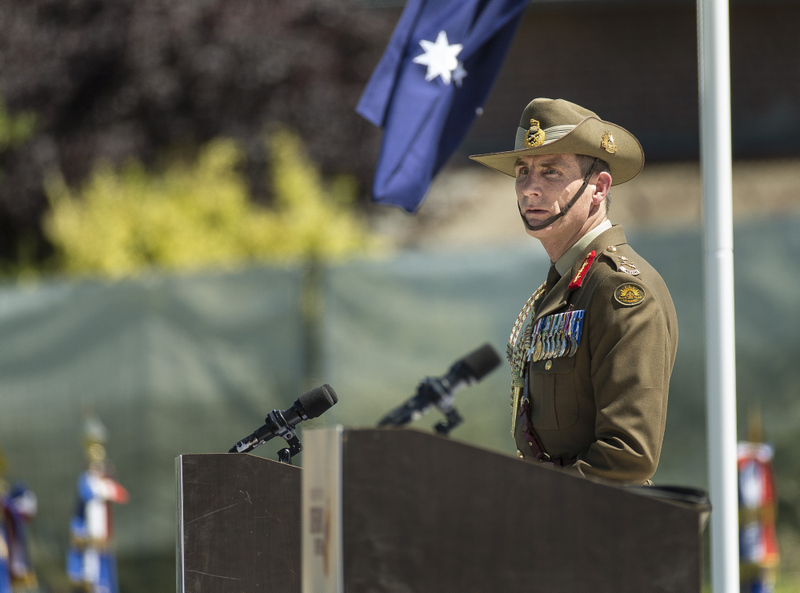 The centre will identify innovations that can improve army capability, leadership and ethics, and help the army understand how to support the ‘joint’ ADF in current and emerging strategic circumstances. 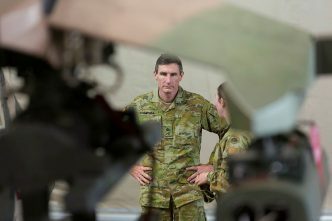 The new centre will be highly networked and connected with other areas focused on Australia’s strategic and security interests, especially the evolution of joint land combat. So, will that give troops on the battlefield an advantage? ‘You’d like to think so’, Campbell says. Any organisation that isn’t actively trying to think about its future is liable to be surprised by that future. There are always going to be emerging issues we are aware of that we incorporate into how we train for operations. If we are not aware of such issues they can surprise us, and surprise in the military is usually accompanied by a great loss of life. 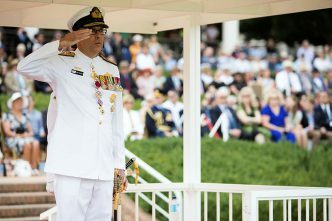 Campbell says taking full advantage of the amphibious capability that comes with the commissioning of the two landing helicopter docks, HMAS Canberra and HMAS Adelaide, requires substantial contributions from the army, navy and air force, along with the wider intelligence and technological support needed in any military organisation. It will take five to 10 years to fully realise the ships’ capability, says Campbell. What we are able to generate as we progressively learn and build this skill is the capacity for manoeuvre in a littoral environment where the ADF can choose where to lodge and can avoid those defended positions which generate no advantage for an amphibious element. ‘This won’t be an amphibious capability of large scale or great sustainability’, he says. If you wish to employ it in an operation, you are looking at a battalion group, three ships—the two LHDs and HMAS Choules—the helicopter support that enables mobility and vehicles and equipment that can be moved from ship to shore. He observes that the plan is not to train part of the army as marines. Australia’s army is not of a scale where that kind of specialisation’s appropriate. But 2RAR will focus on the skills required in amphibious support. And we’ll see it progressively develop over a number of years with the rotation of our battalion groups, the knowledge and skills of those personnel being embarked, operating on and training for operations from those LHDs. Campbell says that, as the army’s forerunner in the maritime space, 2RAR will be a wellspring of deep institutional knowledge. It won’t function in isolation but will be a point the rest of the army can connect with. Those giant ships will operate ‘wherever our government sees interests requiring their use’, Campbell says. And ‘in whatever scale or nature of operation is appropriate at the time’. In terms of potential enemies, the ADF has to be able to fight a conventional state, Campbell says. But there’s a simultaneous threat from individuals or small groups using readily available surplus military technology or civil technology. ‘Everyone’s trying to identify their strengths and mitigate their weaknesses’, he says. The strength of terrorist groups or insurgents may be their capacity to disperse throughout a population to engage and influence at times and places of their choosing. Their weakness may be an inability to coordinate and layer their efforts to maintain their impact. A state’s military organisation may have mass and organisational skill, but it must be able to respond and adapt to the adversary it’s fighting. 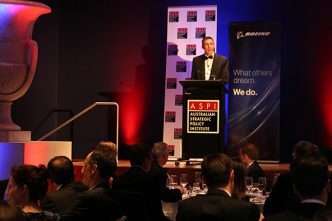 On the increasing effectiveness of the joint ADF, Campbell notes a young infantry officer’s comment that his favourite weapon is a JDAM—a very effective guided bomb dropped by the RAAF’s strike jets. 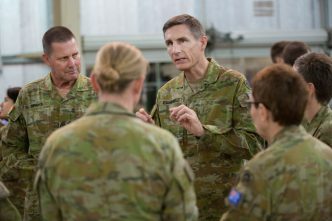 That says to me that from the very basis of our development of officers from army, navy and air force, particularly through the efforts of ADFA but also through other development experiences, we are building people who are thinking about the system as a whole and how the ADF works together. The army chief says he’s very pleased with what he sees. ‘I reflect on my time as a young officer, which was much more strongly focused on the army in comparison with the experience of young officers today.’ That’s the result of 30 years of hard work by many people and it’s a continuing story, he says. Brendan Nicholson is defence editor of The Strategist. Image courtesy of Department of Defence.